The Common App went live today so I thought that it would be the perfect time to share this post as many of you start the journey that is college applications. 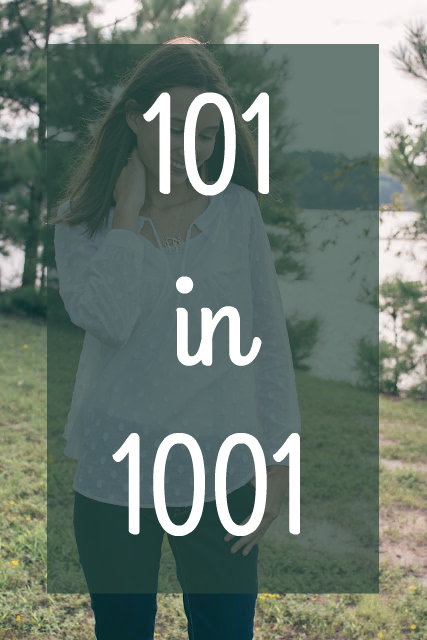 I have been really wanting to do this post for a while because I knew it could be helpful for some of you; mostly because I would have loved this post last year. The truth is I never thought that I would get good recommendations for college because I was shy and quiet in class. I was worried that I didn't stand out enough to teachers and that they would write that I wasn't fit for a discussion-based learning environment. As a result, I spent a lot of time focusing on the other aspects of the application to try and counteract the bad recommendations I thought I would get. But thankfully when it came time to get recommendations, I figured out a way to get what I believe were two awesome recommendations. And I thought I would share that with all of you. 1. Find a teacher that you like and/or you did well in their class: If you have a relationship with a teacher than definitely choose them even if you didn't do as well in their class. Because even though you didn't get the best grade, the teacher knows you and can really write about who you are. And most likely they can write about how hard you worked in their class even if you didn't get the perfect grade. If you don't have a teacher that you have connected with then find one that you did really well in their class. For this recommendation they will be able to write about your learning style and how well you did. If you can get both then that is awesome, but definitely not necessary. 2. Consider a teacher that led a club or activity you were in: If you really feel like none of your academic teachers can give a good recommendation than look to other teachers you know. If you have a leadership position in a club than that teacher can most likely write about you showing leadership. This is a great way to overcome the shy stigma. The only thing is usually this will require submitting an extra recommendation because the college will require 1 or 2 academic teacher recommendations. This would be your extra 3rd rec, but it's worth it if it shows a different side of your personality. Don't be afraid to submit one extra, but definitely don't send in more than that. 3. 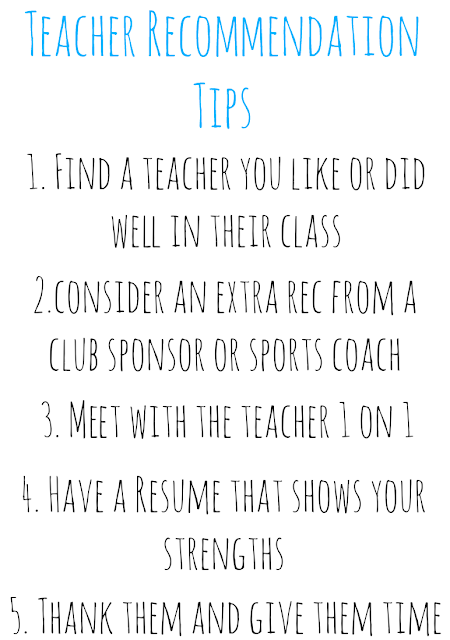 Meet with the teacher 1 on 1: This is probably the best tip that I have. 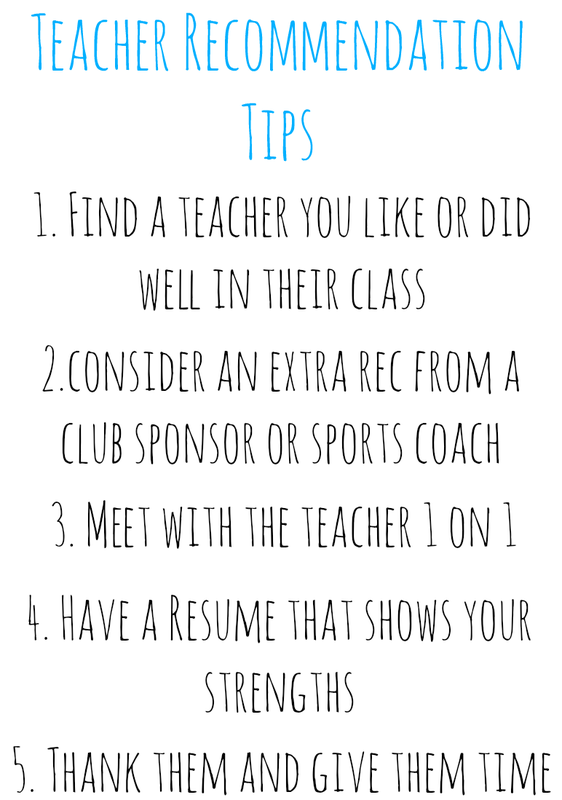 When asking the teacher for a recommendation ask if instead of just sending them your resume you can ask to just sit down and talk with them. This will allow them to get to know you and your personality, even if they hadn't really seen it before. And as a result, they will be able to write a more personalized recommendation. 4. A resume that shows your strengths: With that said I still recommend bringing them a detailed resume that shows your strengths. Don't just list the clubs or sports you are involved in, list what you have done with those organizations. The more detailed your resume is the more detailed their letter can be and the more it will seem as if you have known them forever. 5. Thank them and give them time: Give them time to write it, don't give them a week or a few days. I suggest giving them at least 3 if not more weeks to get it done. They are busy people with lives too, and a rushed recommendation will guarantee that it is not their best work. It will likely have little personalization and me even be just a pre-written one with your name filled in. The second part is pretty obvious but make sure you thank them for writing the letter. It obviously doesn't help the recommendation but it is the kind thing to do. I suggest writing a thank you card, but I know some people like to give little gifts. Just make sure you show your appreciation and in a timely manner. *I suggest using a junior or sophomore year teacher. I don't think you know your senior year teachers well enough to ask them for one. If you really click with a teacher then go for it, but besides that save them for scholarship recommendations near the end of the year. *Show how you overcome a weakness. I think this can really create a strong picture of you. 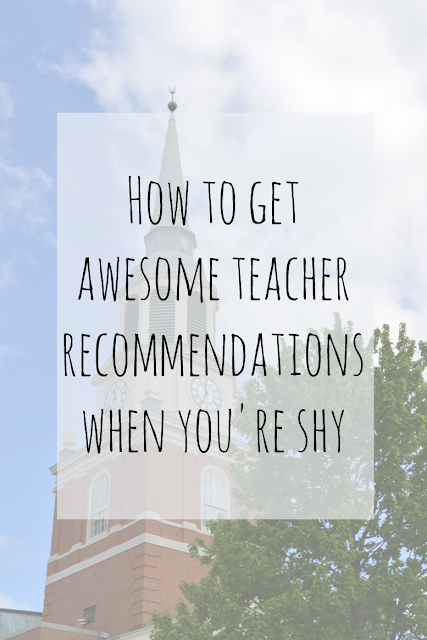 Whether it is overcoming a difficult class or overcoming shyness to take a leadership role in your school, this is the perfect thing to tell your teacher about when meeting with them. I hope this was helpful for some of you! I'm going to have a whole post on college application tips coming next Monday so stay tuned! If you have any questions, leave them in the comments below and I'll get back to you. Great tips! I'm applying for scholarships and colleges soon and need to have some teacher recommendation letters. These tips are great and will 100% use them! Yay! I'm so glad this was helpful! Good luck, the college application process is tough at times but so worth it! These tips are great! I'm about to start my junior year, but I've always worried about getting recommendations because I'm not super talkative or outgoing. Hopefully these will help me counteract my problem! Yes, I was the same way! Glad these tips were helpful!